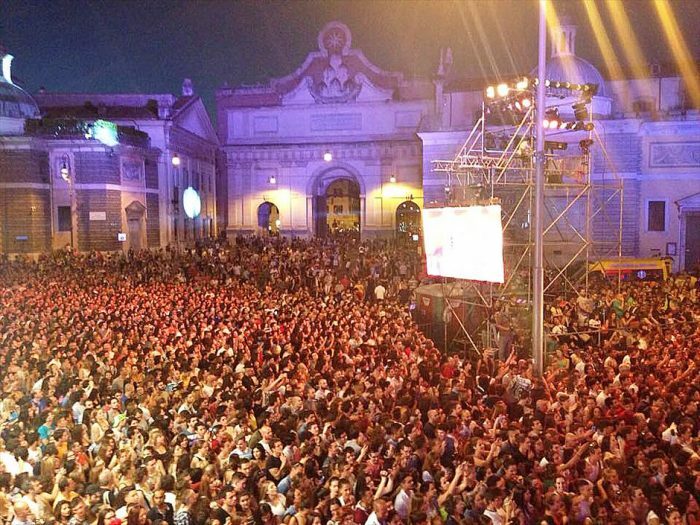 From 25th to 28th June, the third edition of the Coca-Cola Summer Festival took place in the beautiful Piazza del Popolo in Rome. The Coca-Cola Summer Festival is an event of great attraction that gives a nod to another ‘historic’ Italian summer music event, the unforgettable ‘Festivalbar’, but updating the formula, offering the best of Italian and international music divided into ‘young’, ‘big’ and ‘guests, putting forth an impeccable technical production, and creating strong synergies between radio (RTL 102.5), television (Canale 5) and social media. The results reward the effort: television share kept on growing compared to the 2013 and 2014 editions, with peaks well over 20%. A great success, to which D.T.S. had the satisfaction to participate with its products. 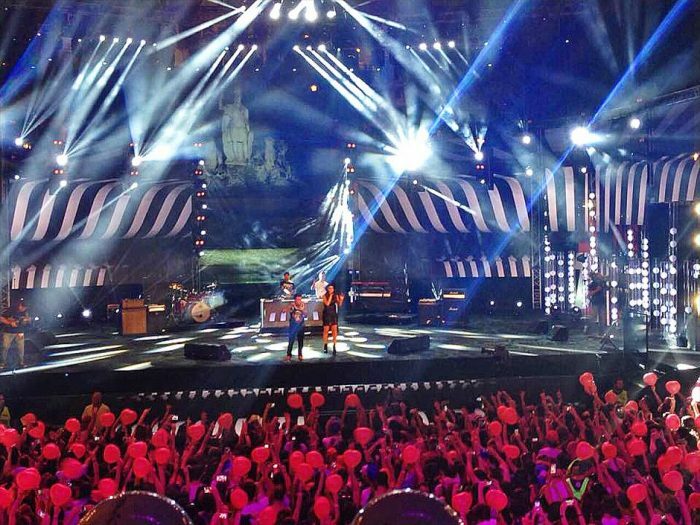 The service Madema has installed on the large stage set up in Piazza del Popolo no less than 174 moving head by .D.T.S. : 110 x RAPTOR, 20 x WONDER.D (this is a double satisfaction because the Summer Festival was the world premiere for the new LED Washer), 20 x MAX and 24 x NRG 1201.